I've been in a few escape rooms now and I always have fun. The Basement was probably the most atmospheric room I've been in and I'll definitely be going back to do the Boiler Room and the Study.The price is a little high at $35 for 45 minutes but as a one off experience I can accept that. The one issue I had is that I booked with a group of 4 but we were then put in with another group of 6, without being told. I understand the company want to maximize their profit but I feel the more people in the room, the less you each experience and so I would have liked to have been notified before hand. We escaped from the Basement. Twelve of us. It was exhilarating. We had previously done the Boiler Room. Even though we missed escaping it was still great fun (We subsequently went back and conquered it). The Boiler Room puzzles are sequential; you have to solve puzzle 1 to get to 2 ... The Basement is more of a free-for-all. We went as six couples who were friends; I think it might not be as fun to do with strangers. Not that there's anything wrong with strangers. A tip that we figured out after the fact: Designate one person to be the master of all the clues, etc. That way everything will be kept track of and there won't be a lot of redundant effort. Good luck! 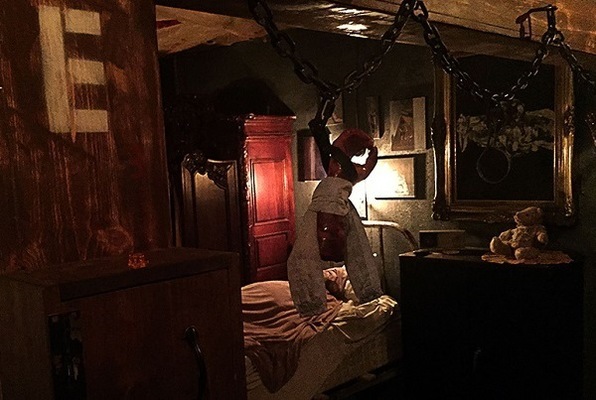 The Basement was my first ever escape room experience, and I can say it was one of the most amazing things I have ever experienced let alone in Los Angeles. They have made an amazing back story and theme for the entire attraction. My group tried both of the rooms they offer - the Basement and the Boiler Room. We failed both but came within seconds of solving the Boiler Room! The rooms are definitely far from an easy ride which just adds to their attraction. As of writing they are opening a third room next month which will be their longest yet - I am so excited to try it out next time I go to LA! The atmosphere, puzzles and employees make this an unmissable thing to do - you won't be disappointed no matter what kind of person you are. The whole thing is extremely innovative and for replay value they even have three different versions of the Basement which changes things up enough to essentially make it a new game. When they open the third room this means that you could easily visit at least 5 times, and I am sure they will look into adding different versions of the Boiler Room and third room in the future as long as they show continued popularity. This is one of the most unique, awesome experiences ever!!! You really feel like you are on the set of a creepy movie. It is fun if you go with a group of your friends and you reserve all the spots. I went to the Basement- haven't tried the Boiler Room yet, that is next !!! They have a safe spot where you can leave your keys, phone and purse which is nice. Good luck !! My group escaped with only 8 minutes left on the clock ! Worth the money. Amazing experience...will definitely be back to try it again! We failed to escape the basement but we are determined to not end up in Edward Tandy's freezer again! A lot of thought and detail went into making this experience very realistic. The props, art work and noises really make you feel like your trapped in a mad man's basement. I brought my gf, who is a big horror movie fan, for her bday and she loved it! She spent the first five minutes of the experience checking out how well the room was decorated. I had to remind her that we were on a time limit and had to start looking for clues to get out. If you haven't tried it yet, I definitely recommend this place. Four of us signed up for the Basement ( not ready for the Boiler) and it definitely was an amazing experience!!! It was worth every dollar and I am definitely going back to try to make it out alive. It was planned out really well and I'm still not over it! !